Posted in: 1 Pageant Pages, 2 Shout-out-Looks. 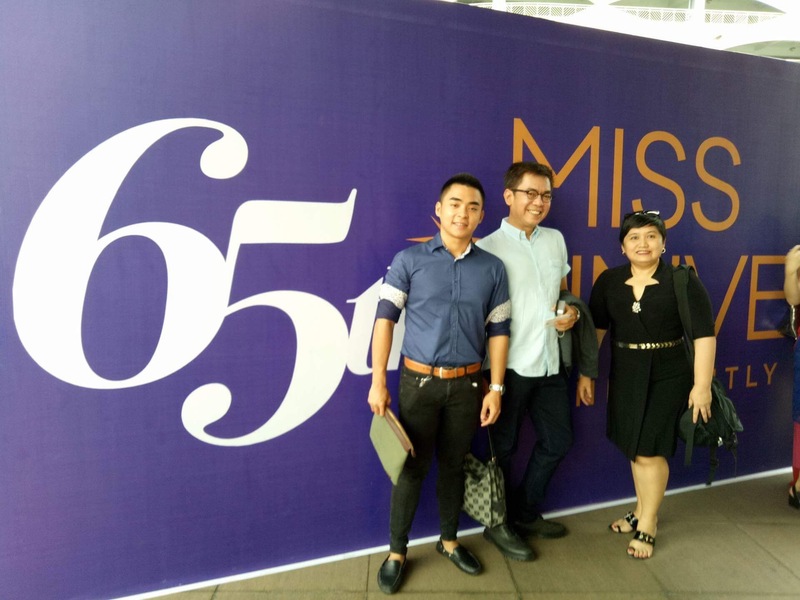 Tagged: 65th Miss Universe, Bb. Pilipinas 2017, Joseph Gerard Jose, Joy Arguil. normannorman.com’s coverage of the 65th Miss Universe wasn’t the easiest to fulfill. But amidst the daily stress and intermittent moments that were humbling in nature, we emerged from the whole experience unscathed, with nerves of steel and leveled-up patience. 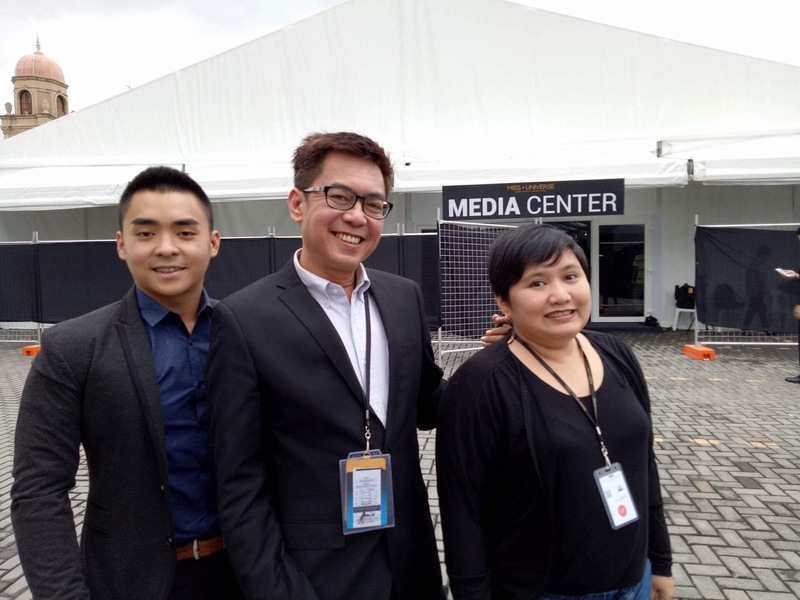 Thanks to my coverage partner Joy Arguil who has learned to adjust to my relative quirks, and to our new team member Joseph Gerard V. Jose who is being gradually ushered in to the world of pageantry in both the national and international stages. 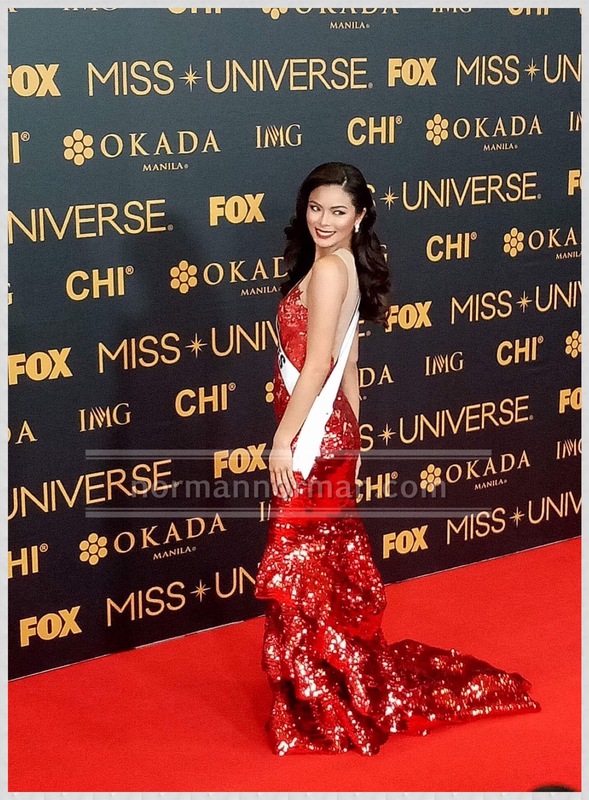 To Miss Universe Philippines 2016 Maria Mika Maxine Medina who added a Top 6 finish in the competition to her list of achievements, always keep your head held high because you represented the country so splendidly well. Do not let the bashers get into you because they will never ever experience the wonders of being part of the most beautiful event in the Universe. 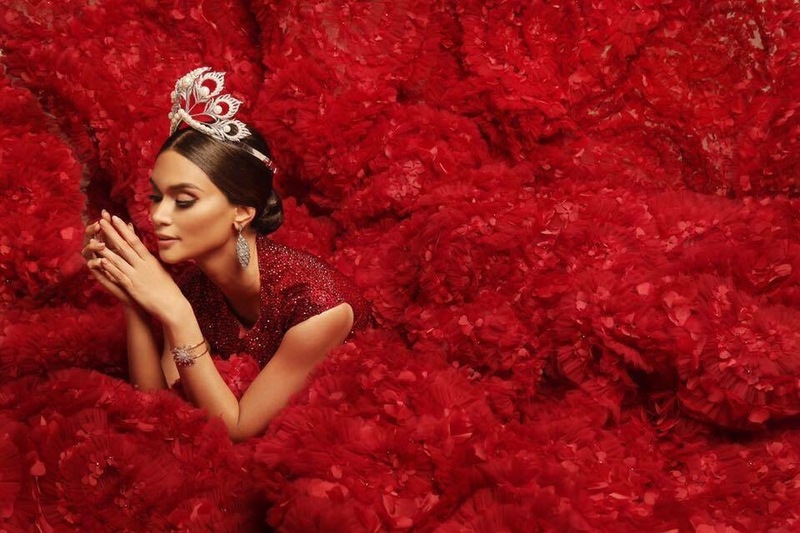 To Pia Alonzo Wurtzbach, best of luck in your journey as a newly signed-up talent of WME/IMG. And to Iris Mittenaere, may you have a most magical reign that will keep the Miss Universe brand strong and worth looking forward to in decades to come. 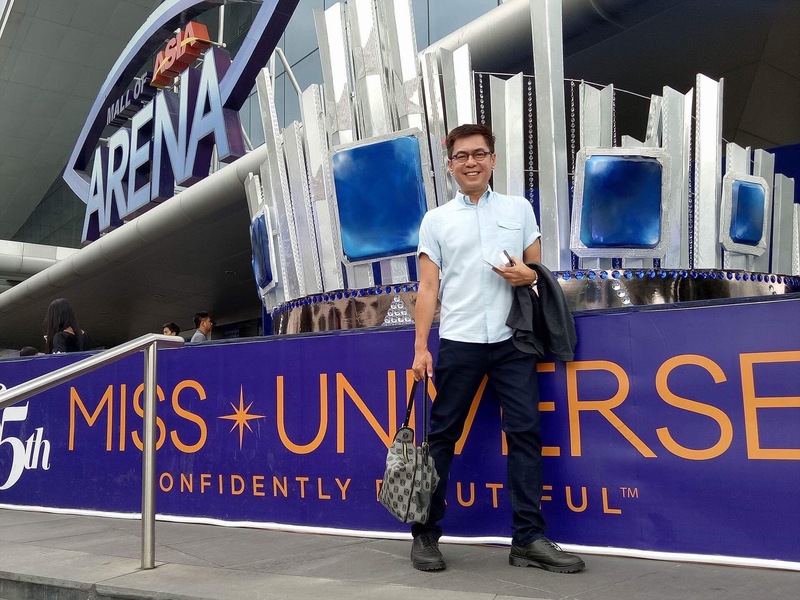 On behalf of Joy and Joseph, this is your tireless and peripatetic blogger now signing off from the 65th Miss Universe Pageant. Next stop: Bb. Pilipinas 2017! 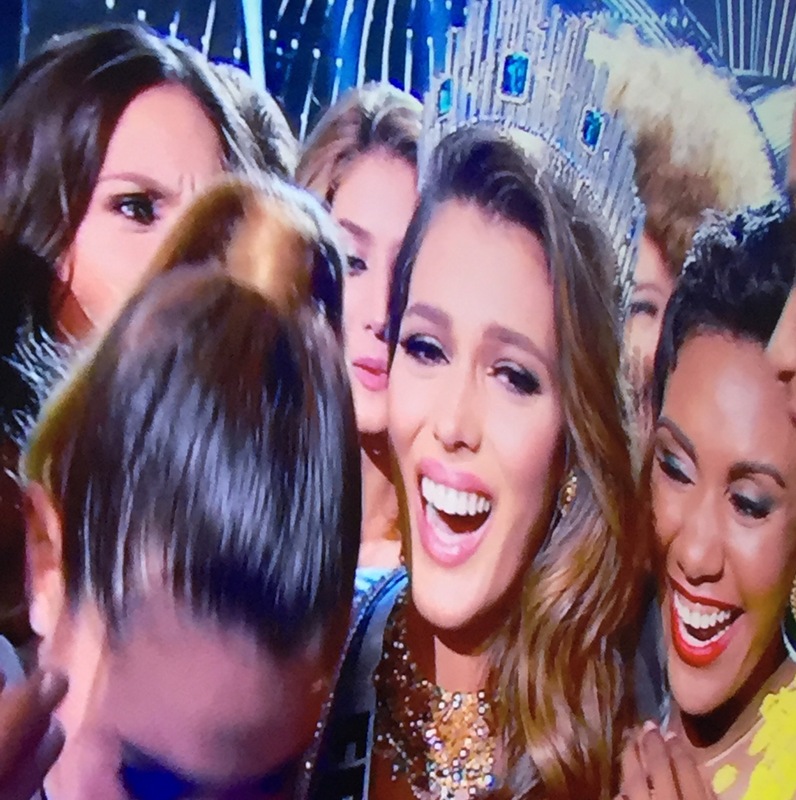 Iris Mittenaere of France is the 65th Miss Universe! Posted in: 1 Pageant Pages, 2 Shout-out-Looks. Tagged: Iris Mittenaere. Iris Mittenaere of France 🇫🇷 is the 65th Miss Universe! And IMG/WME has finally made a clear statement. I’m off to the winner’s Press Conference now. Posted in: 1 Pageant Pages, 2 Shout-out-Looks. 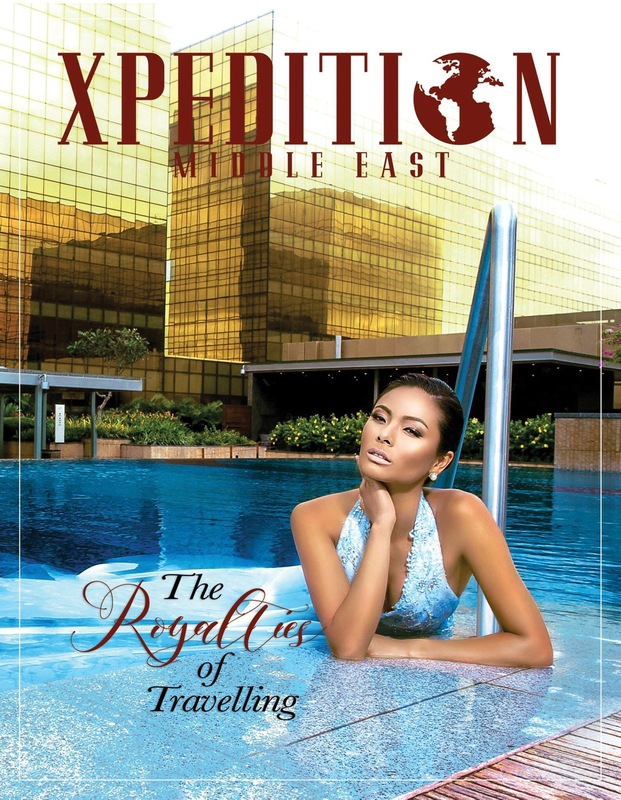 Tagged: 65th Miss Universe, Maxine Medina. 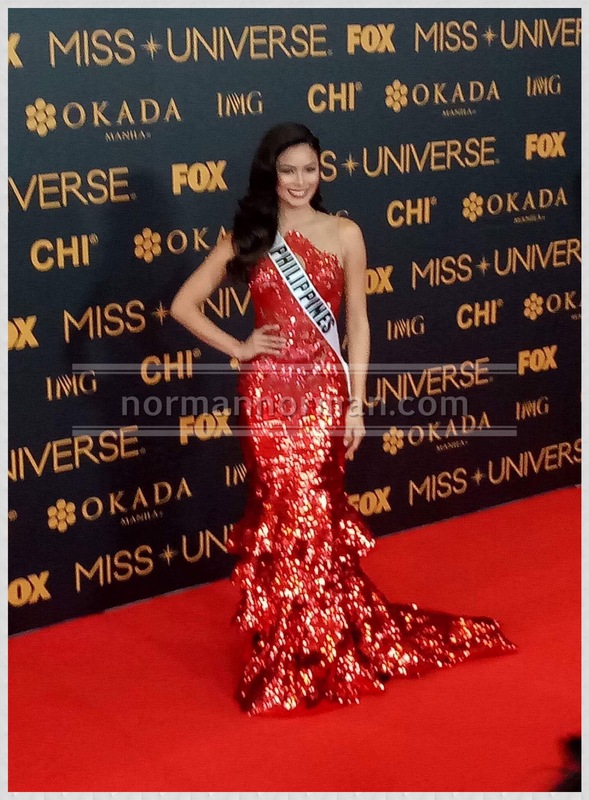 Will this red gown bring her lots of luck tomorrow? 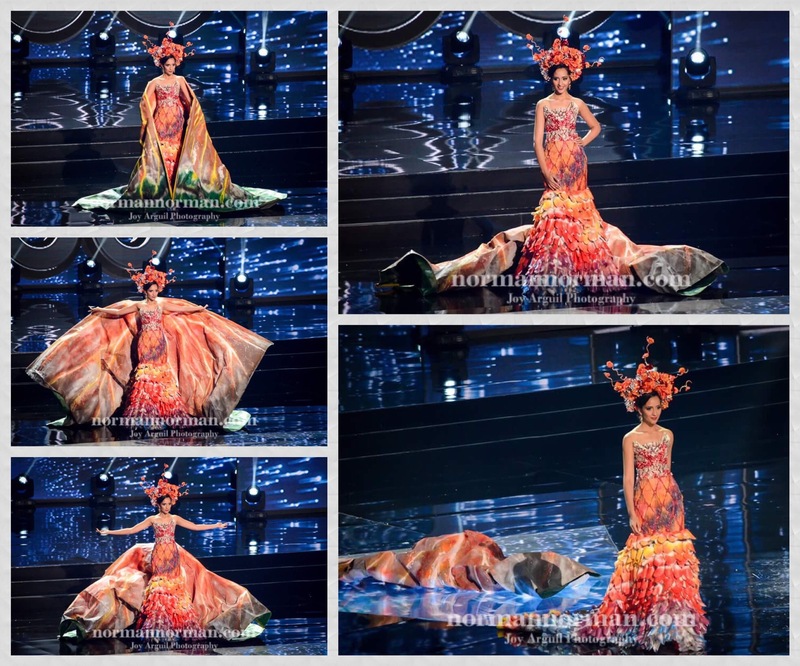 Above are photos of Miss Philippines Maxine Medina during the 65th Miss Universe Red Carpet event tonight while wearing the red gown she slipped into during the Rehearsal Show. Will this number bring her lots of luck in the Year of the Rooster? The question is: how close (or far) will these thirteen hopefuls be to the actual announcement in tomorrow’s finals? Below is the opening part of the swimsuit competition. Posted in: 1 Pageant Pages, 2 Shout-out-Looks. Tagged: 65th Miss Universe, Charamel, Kirsten Regalado, Kushboo Ramnawaj. Miss Mauritius Kushboo Ramnawaj in her NatCos. Upper left photo was taken backstage before the accident happened. 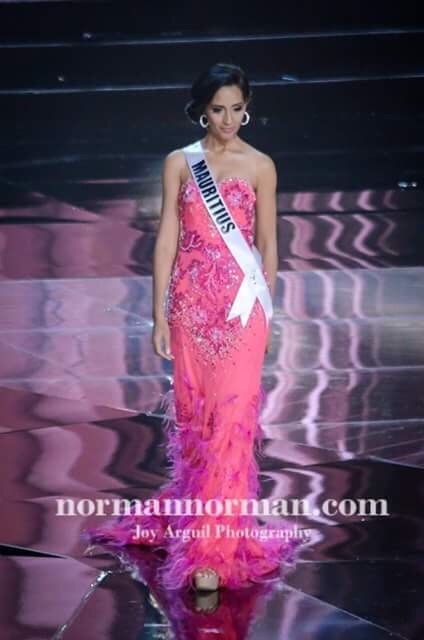 Not a lot of pageant fans and watchers are aware that the “Chamarel” National Costume of Miss Mauritius Kushboo Ramnawaj was made by Miami-based Filipino Designer Kirsten Regalado, and that Filipino kids (including an orphaned child) from La Consolacion College in Bacolod City helped make the entire ensemble. 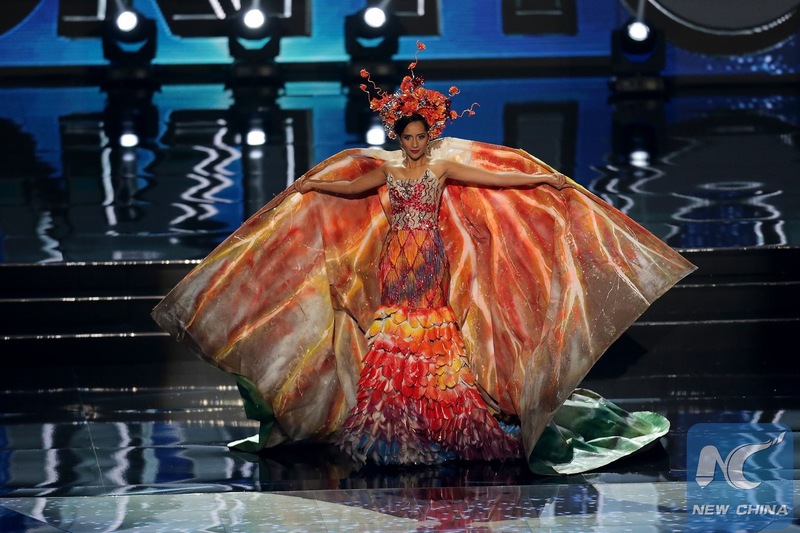 But fewer individuals know that – during the National Costume segment at the Preliminary Competition – a backstage drama unfolded when an accident happened to Miss Mauritius. The caped train of her attire was accidentally stepped on and she fell straight to the floor – face and head first. Suddenly, blood was oozing from out of her lips/face and dripping down her neck to the upper part of her costume. Everybody, including other candidates who were already wearing their heavy attires, rushed to her side and helped her get up. She was having difficulty regaining her bearings. That was when the backstage officials asked her not to step out onstage anymore as she might just fall on her knees while navigating the full vertical stretch of the wall to the middle. But Kushboo cried and pleaded that she cannot possibly be stopped from showcasing her National Costume, especially that the effort that went into finishing the same was meticulously painstaking. She would not let anything stop her from taking her due spotlight. And so, she was allowed to show herself, just enough to acknowledge the applause of the audience but not to do the walk to centerstage anymore. 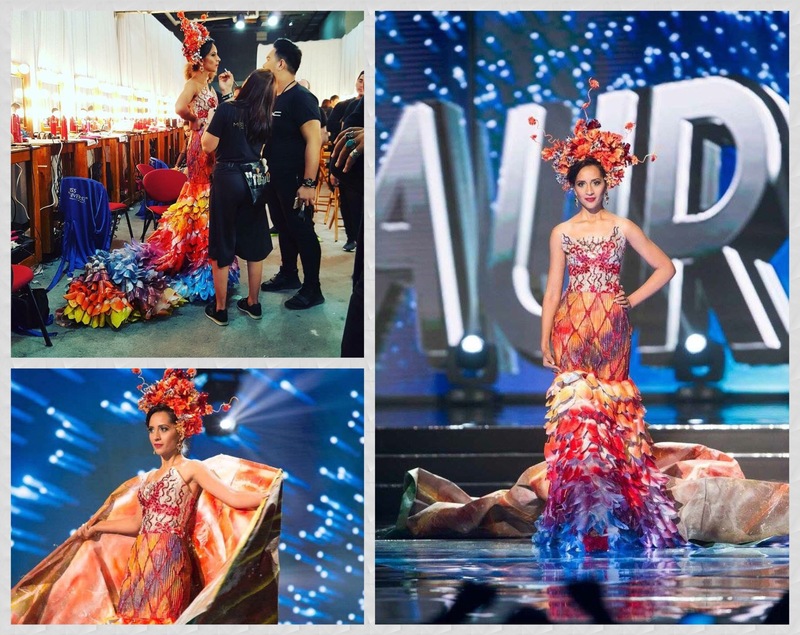 But when the voice-over announced that her National Costume was made by a Filipino, the cheers from everyone inside the Arena increased. Instead of just standing at the rear middle part of the stage, Kushboo relied on pure adrenaline rush to get herself to do the long walk regardless of the physical pain she was feeling all over. Her face could not express a full-on smile, but deep inside, she was ecstatic that she was able to cross over.